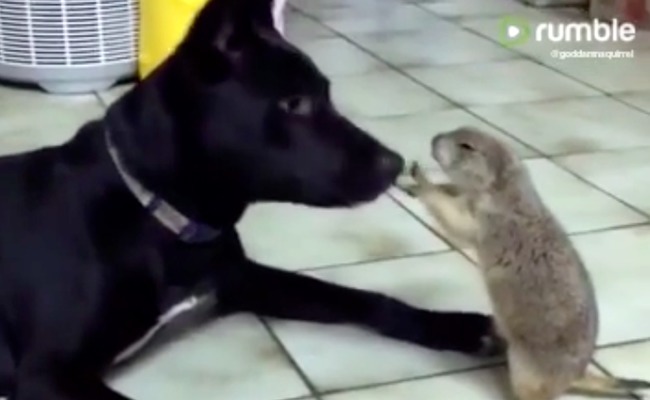 Watch this dog and prairie dog play and love on each other. So, before you moved in here, how were things on the prairie? Oh, that is really sweet.